The Journal of Geoscience Education (JGE) is NAGT's peer-reviewed publication for geoscience education research, and serves as an international forum for research concerning the pedagogy, assessment, and philosophy of teaching and learning about the geosciences and related domains. 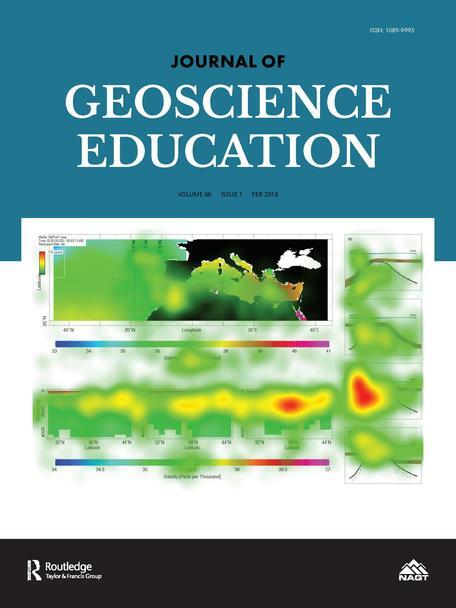 JGE is published for the National Association of Geoscience Teachers by Taylor & Francis. NAGT members can access the journal through their membership account to view articles online and download PDFs. If you are interested in serving as a reviewer for JGE, please create or update your profile in Editorial Manager to include classifications and keywords that reflect your areas of expertise. Classifications and keywords are used as search terms by our Associate Editors to match reviewers to manuscripts. Potential authors can find information on the aims and scope, instructions for authors, and announcements about upcoming theme issues on the JGE home page. Manuscripts are submitted through Editorial Manager. To pay page charges for recent issues, visit the payment page. Older issues of JGE are available through the NAGT Executive Director's office. For specific back issues, please visit the Subscriptions & Back Issue Requests page.